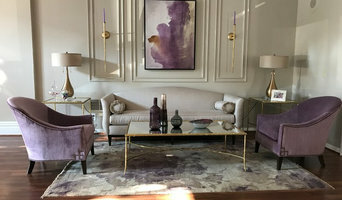 Voted "Best of Houzz" 2019, 2018 and 2017, M&M Interiors is a full service design company specializing in residential design and home renovations.. At M&M Interiors we can help you with something as simple as selecting paint colors or draperies, to projects as complex as a complete home renovation. We are experienced in helping you not only with your design decisions, but overseeing every detail of your design or remodeling project from start to finish. We listen to our clients and strive to stay within their budgets. Our goal is to bring function and beauty to your home, making your home your sanctuary. We are a full-service design firm that specializes in residential interiors/exteriors, boutique commercial spaces and vacant home staging in Northwest OH. *Hunter Douglas Authorized Dealer* “’Wow!’ is what most people say as they walk through the front door of our downtown loft.” – Lynn McCarty, Koester Interior Client Let’s be honest, don’t we all want a bit of the ‘wow factor’ when it comes to the interior design of our home? The best part is, with Koester Interiors, achieving that ‘wow factor’ doesn’t have to break the bank. Our full-service design firm devises custom plans by personally getting to know our clients, their likes and dislikes, and their budgets. Do you prefer bright colors and bold patterns? Or do you prefer a timeless, more traditional look? Not sure? We can help guide you through the design process, finding your own exclusive style along the way. Our unique and versatile design concepts speak to each client’s differing interests and lifestyles. In fact, the only cookie-cutter method used by Koester Interiors is providing high-quality service and products. An interior design project can be overwhelming for homeowners – looking through countless upholstery patterns, sofa styles, flooring materials, countertop colors, etc. With Koester Interiors, our comprehensive design plans are based on years of experience, meaning even the smallest details are outlined so that nothing gets overlooked. In effect, we’ve fashioned our design philosophy on attention to detail, client expectations, and our expert vision. Whether your project is modern or traditional, big or small, fun or functional, Koester Interiors will design a living space that reflects your character and purpose. Karen Koester, owner and interior designer, has a background in photography, painting, and working as a seamstress. In college, she worked in the flooring and furniture industry. All these experiences, meshed together, led to her passion of designing one-of-a-kind beautiful spaces through textiles, tile, furnishings, and more. 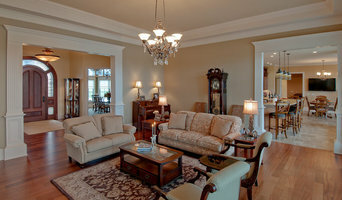 I am Claudia Hardy, an interior designer in the Toledo Ohio area. I work in all areas near Toledo: including Perrysburg, Maumee, Sylvania and Ottawa Hills. (I moved to Toledo from Richmond, Virginia in 2018 and am still working with clients from the Richmond area via E-Design and for larger projects I do travel back on a regular basis.) I specialize in residential design with a focus on new construction and renovation projects. My interior design services include furniture space planning, bathroom and kitchen designs, floor plans of all types, lighting and plumbing fixture selections, paint consultations, furniture and accessories selections and budget management. I work side by side with my clients to create beautiful spaces that reflect their style and taste. I look forward to hearing from you! Whether you are planning to redesign your entire home, one room, or just want color, layout, fabric or style advise, no job is too big or too small. Established in 1960, Betty Rumpf Interiors is one of the oldest design firms in the Greater Toledo area. With a 9,000 sq. ft. showroom, we feature high quality, American-made case goods & upholstery. Staffed with Interior Designers, we provide the best experience and highest quality service to our clients. Divine Interiors specializes in residential and commercial interior design work, remodeling, model merchandising, real estate staging,senior and special needs design. *Receive a $150 rebate on qualifying purchases. Follow www.hunterdouglas.com for more details. The Smart Shades Savings Event runs from July 1 - September 11, 2017. Kathy Rupp at Interior Angles is a Priority HUNTER DOUGLAS Dealer for NW Ohio* Interior Angles offers residential and commercial interior design in Northwest Ohio including western Indiana and southern Michigan to Toledo/Perrysburg. professional assistance is provided in the selection and placement of furniture, art, accessories, paint, and floor covering. Creative custom window treatments are also offered along with blinds and shades. If you are building or remodeling, Interior Angles also can evaluate your floor plans and provide space planning. INTERIOR ANGLES' goal is to make your home or office a beautiful reflection of your style, thoughts and ideas. Design Intervention creates environments that reflect the unique characteristics of its clients. Creative combinations of materials and furnishings suit the individual taste of the client, rather than imposing a structured style. The resulting spaces are eclectic and sophisticated in their execution, while maintaining warm, inviting atmospheres. Wiseman Design & Window Specialties is your one stop resource to creating a new look for your home or work space. We specialize in residential home design that reflects our clients personality and lifestyle. Here at WDWS we make sure that the job is completed from beginning to end and that our clients are happy with the quality and craftsmanship throughout.The WDWS Studio is located at 745 S. Washington Street in Van Wert, Ohio. Our studio is incorporated into an unique English Tudor Revival style home, making it a warm, inviting meeting and gathering space where you can feel at home while reviewing and selecting the materials for your special project. I have been designing interiors for nine years and have loved every minute of it. The ultimate goal I strive for is to create the space of your dreams. My design philosophy is all about listening to my clients and understanding how they live in their spaces and work within their budget. I take each design opportunity to create magic and beauty for my clients. On occasion, interior designers in New Bavaria, OH will need to subcontract help from other New Bavaria, OH professionals to help create the perfect look for your home renovation. These may be specialist installers or interior decorators like kitchen designers, architects or landscape contractors. Start by asking yourself what you want your space to become and how it will be used. List your must-haves and decide on your budget. Interior design services can add up fast, so be upfront with potential interior designers from the beginning. Also, pick a designer in New Bavaria, OH that fits your style. Browse through their interior design portfolio on Houzz and ask yourself if you’d live in any of those houses. If the rooms inspire you, take note of what elements you appreciate. 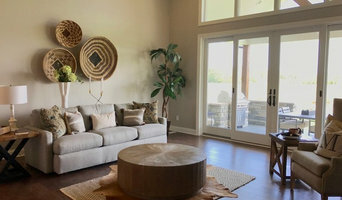 Find residential New Bavaria, OH interior designers on Houzz. Scroll through this page to find interior designers in your area. Then, browse their design portfolios to see how their work compares to the scope of your project. You can read reviews to see how other homeowners rate their work, and message them directly to to ask any specific questions.